It should come as no surprise that a place named after a tree would be a great place to find them and Aspen does not disappoint. In Fall here, it’s as if the entire world has turned to gold as that is the dominant fall leaf color for Aspen trees. They create an amazing contrast with the abundant evergreens that exist around them. 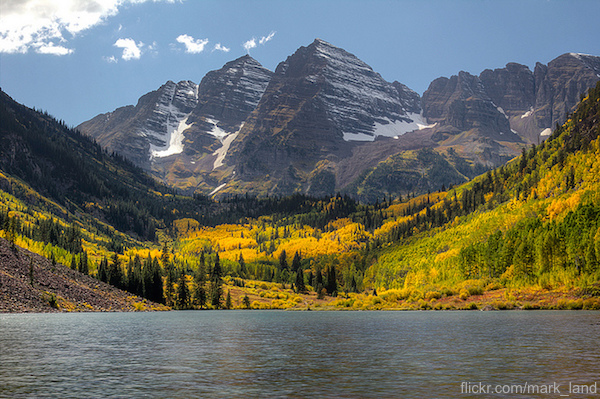 Aspen’s leaf-peeping season is very short, beginning mid-September and almost always peaking by end of the month. You will get some decent views during the first week of October, but once Columbus Day rolls around, you’re well past peak.